Serial producer Kenny Beats touched seemingly every corner of the rap world in 2018, and now in 2019, it looks like he’s ready to do just the same, starting the year off on a high note with his latest venture: the Bad Influence EP alongside Roc Nation signee Q Da Fool. Hailing from Maryland, Q has been steadily garnering acclaim throughout the past year or so, and now, in just 6 tracks, it sounds as though the budding star is more than ready to prove himself as the next big thing. When Kenny brings in the trunk-rattling kicks, Q is right there to match the energy, letting out thunderous deliveries and an endless supply of quotables. Similarly, when Kenny shifts focus and brings out a melodic beat, Q obliges, offering up smooth deliveries and an effortlessly charismatic personality. The two work hand-in-hand as a one-two punch of a duo, and the resulting yield is a brilliantly entertaining EP that will surely run up the numbers. Q Da Fool and Kenny Beats are not the partnership to play with, so don’t sleep. 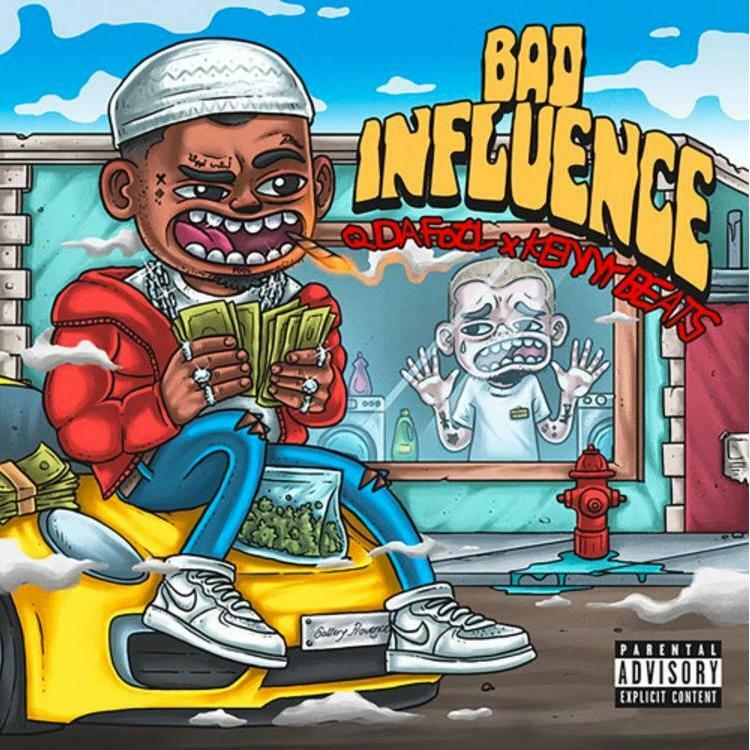 Stream Bad Influence at the link provided below and let us know what you think in the comments!